LSI Portsmouth Blog: Graduation Day - We're so proud! Graduation Day - We're so proud! The middle of July is graduation time at Portsmouth University. It's a gorgeously colourful and happy time, with family and friends visiting Portsmouth to share the day with the graduates. Colour is everywhere, parents in all their finery, families, smiles and gowns on their way to and back from ceremonies. 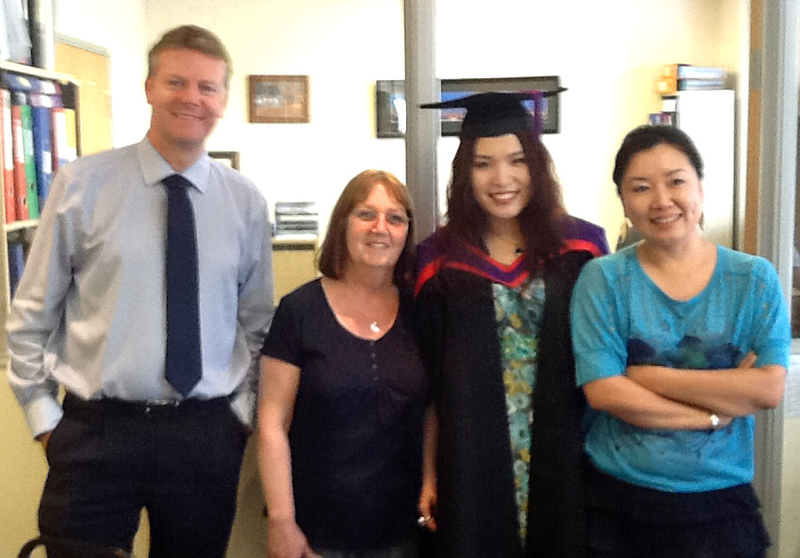 We were delighted to have Xiaoxiao Zhang come back to visit us. She studied with us in 2011 on our pre-sessional course before going on to study for her MSC in Logistics and Optimisation. 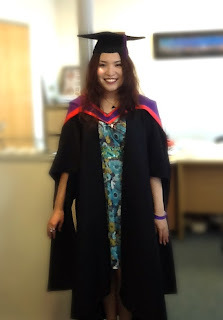 Xiaoxiao Zhang proved such a star on her course, that not only did she pass with a distinction, but she also got head hunted by a very large international company because of her ground breaking research.